Among Roosevelt Island's many talented visual artists, Hanne Støvring stakes her claim to creating some of the loveliest, most engaging works seen at Gallery RIVAA. This weekend, she opens her solo exhibit, Moments of Life, with a public reception on Saturday at 5:00. 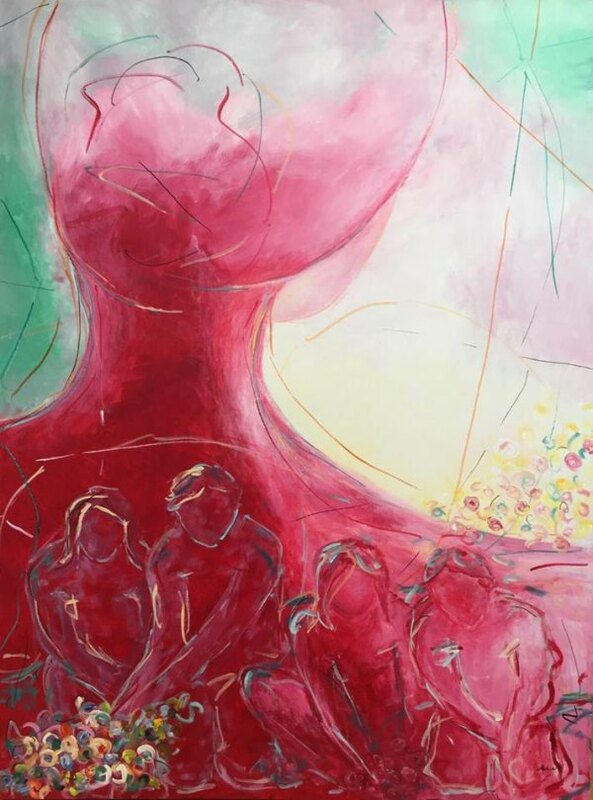 Hanne Støvring's art stood out for its originality when she first showed her works on Roosevelt Island in 2014, using shades of light and color to tell stories about human figures in her paintings. Her works, then, were influenced by her observations of people and nature, bonding and separating, as she lived and worked in the small Danish coastal town of Gudhjem on the faraway island of Bornholm in the Baltic Sea. Still under 40, Støvring's numerous public exhibits have helped her develop an international following. Today, her artwork is part of private collections around the world. During her three years in New York, she says, "More strong colors have appeared in the sceneries – bright red, green, yellow and blue. Very vibrant and energetic. But also grey has become part of my reality. The city has an impact and an influence on me – as on everyone else." After the RIVAA show, which stays on Roosevelt Island until June 11th, Støvring's paintings travel to the Museum of Danish America in Elk Horn, Iowa. Watch for more to come in the next year about connecting the artist's native and adopted homes. In the meantime, you all are invited to savor Hanne Støvring's Moments of Life at a public reception on Saturday, May 20th, at 5:00, where you can also meet the artist in person.